This wouldn’t be the first time that we will feature a conversion of a certain space. We have seen a lot of this in previous posts and we have been blown away by how much improvement each space had. I can remember we even featured a home that was once a church. There was also a paper mill and then some warehouse too. Today, add another one to your lists of space conversions because what we have is a warehouse turned into a stunning residence. 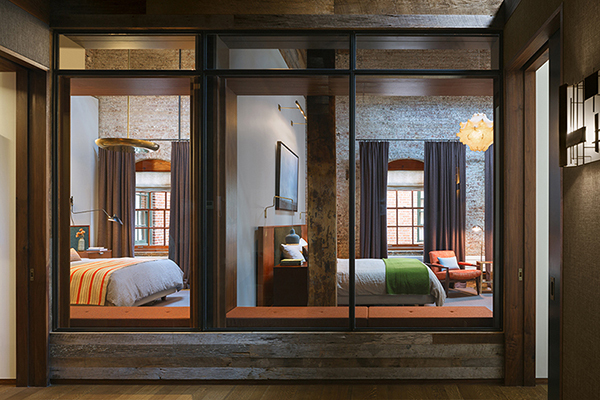 The once Caviar warehouse in Manhattan was renovated. It has a relocated mezzanine, where you can see a sunken interior court that is comprising a retractable glass roof which connects to a green roof garden above. The interior brings the outdoors into the primary living zones with ample flow or light and air. You can see the building’s industrial past but has that insertion of modern materials too. 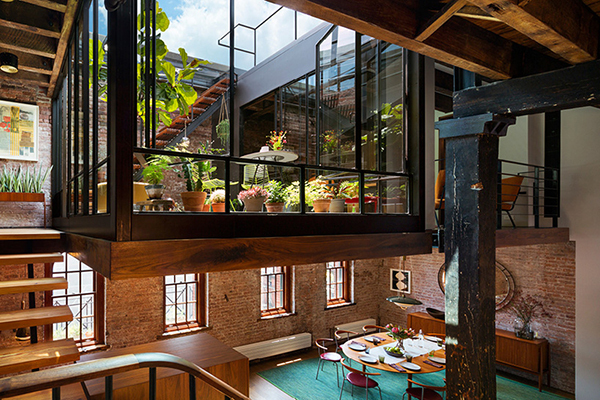 You will love how this loft is connected to the outdoor environment. Even when inside, you might even feel like you are still with nature! 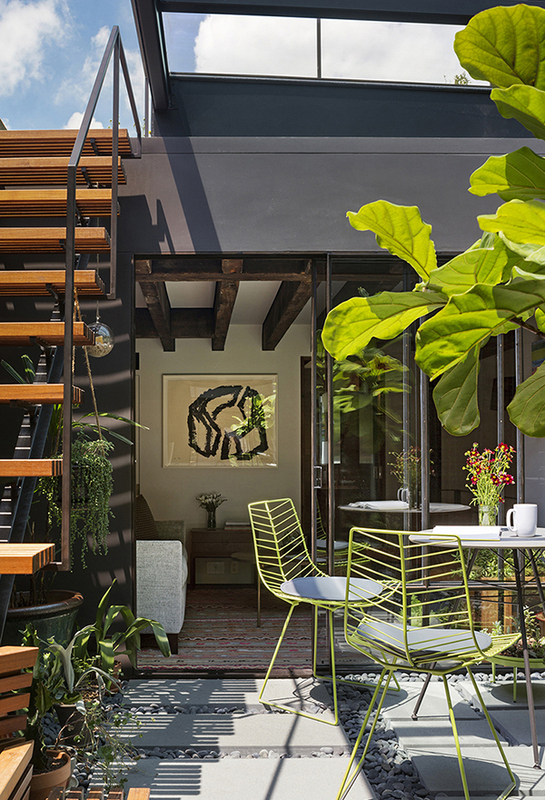 The sunken courtyard is one feature of the loft that is beautiful. It brings the outdoor environment to the primary living zones. The multiple level home is unified by a walnut fascia and it has a custom steel stair that repurposes timbers from old roof joists for the treads and landings. With the mezzanine relocated, the space is transformed and has a connection to a green roof garden above. 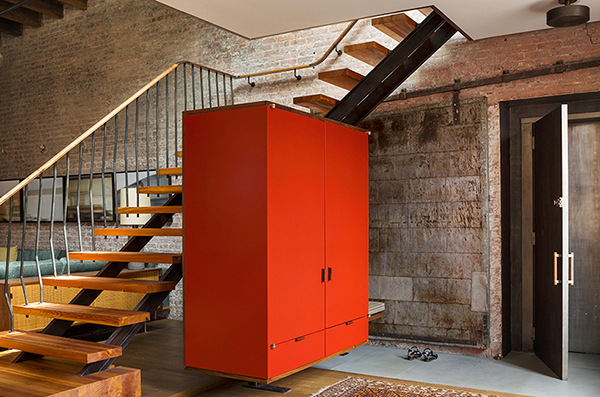 Aside from the steel staircase, you can spot many industrial features of the house just like the brick walls. 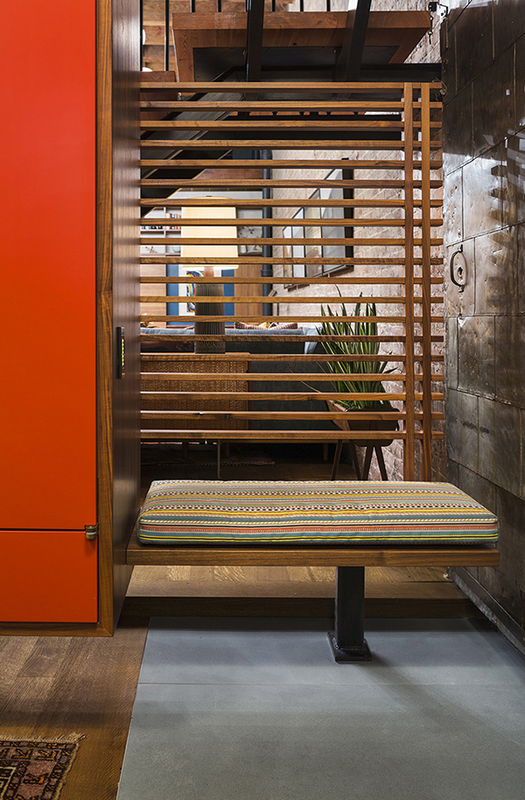 Modern materials were also integrated in the house as well. The theme of the apartment is varying degrees of visual continuity which made it look even more beautiful. 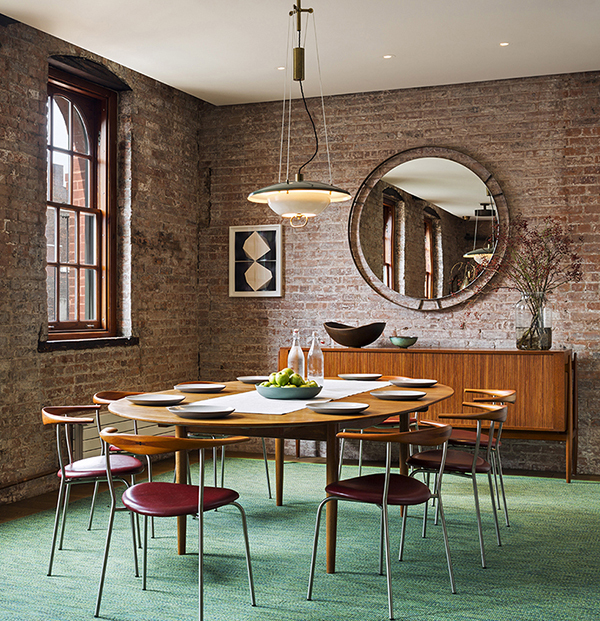 Some vintage furnishings add contrast to the industrial home just like this dining area. 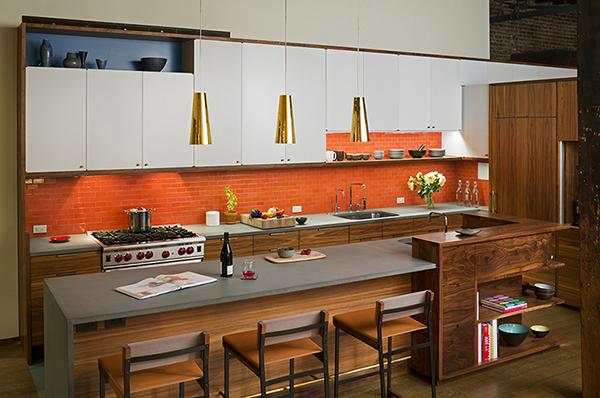 To bring contrast to the timbers and brick walls, smooth and reflective surfaces were used for the kitchen. 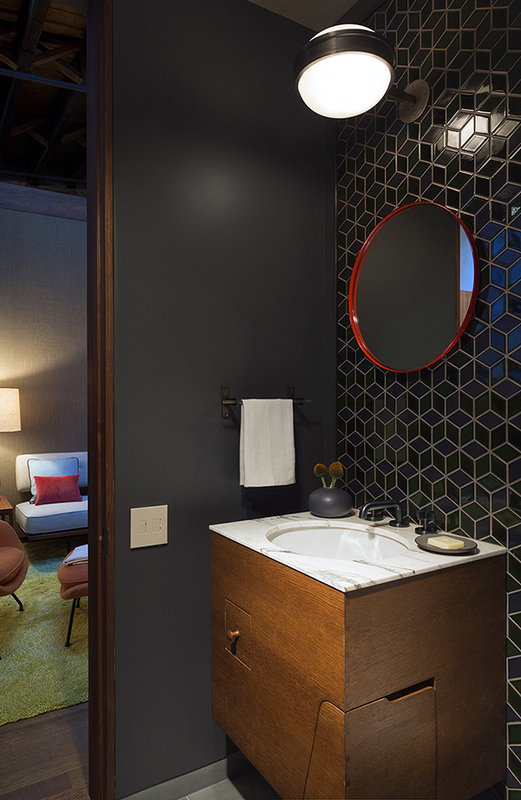 A bronze framed tile wall panel is seen at the powder room that has an oak cabinetry. Aside from the open, flexible living areas, there are also private bedrooms and bathrooms. 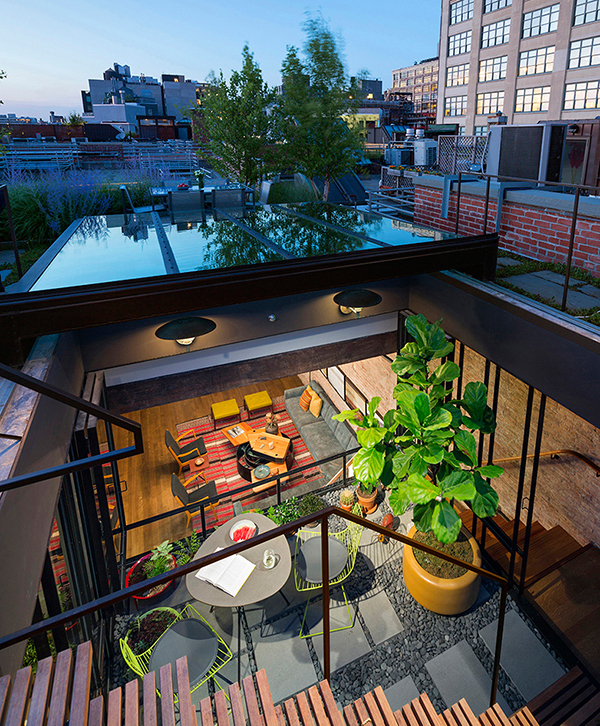 To have access to the roof, a 150 square-foot skylight retracts. Look at how lovely this area is! 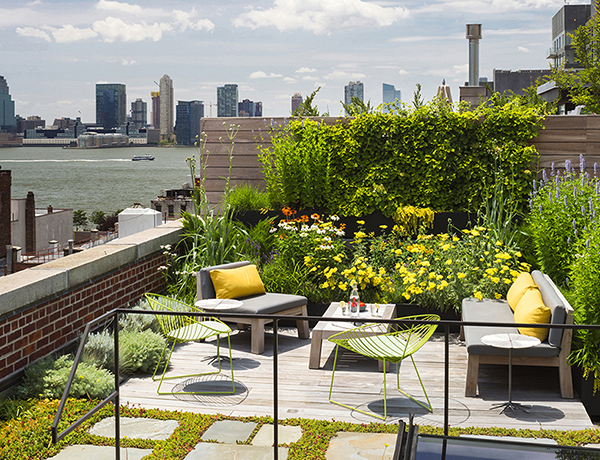 Reclaimed bluestone pavers were used for the roof top. You can also see a majority of native plant species here. 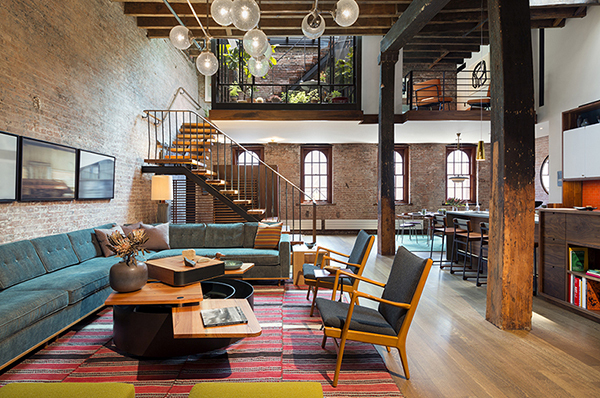 New York-based Andrew Franz Architect PLLC did the scheme of this loft. And I really like it. In order to add to the sustainable nature of the house, energy-efficient mechanical systems and appliances are employed. It reclaims and reuses loft materials while adding some new products too like the appliances, retractable glass roof, architectural metal work and cabinetry. 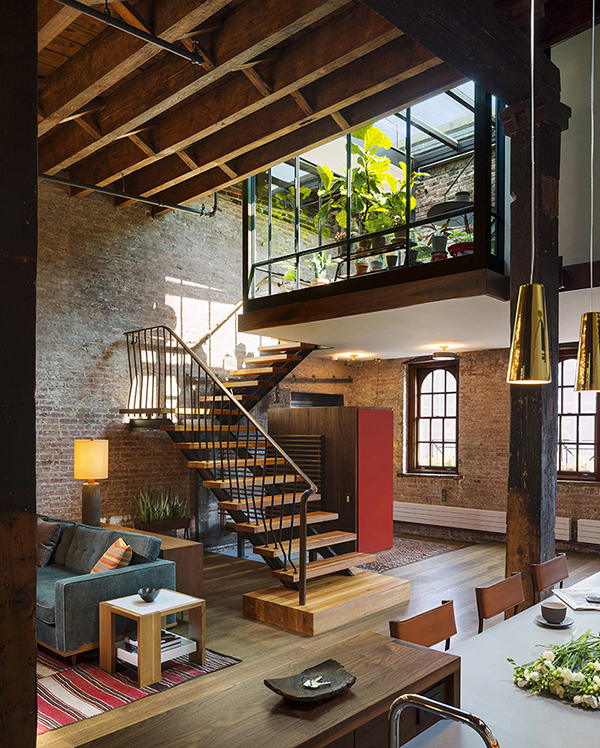 Well, I like the industrial and modern aura of the house especially that it managed to combine nature with it.